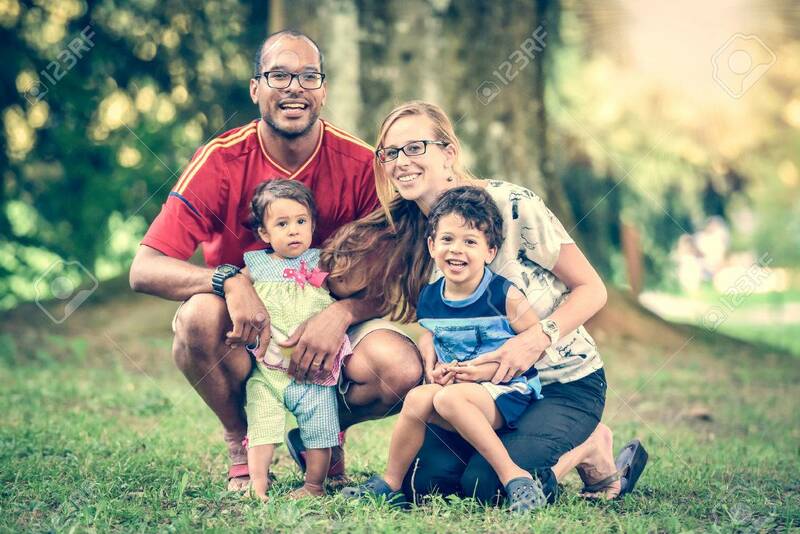 Happy Interracial Family Is Enjoying A Day In The Park. Little.. Stock Photo, Picture And Royalty Free Image. Image 48490405.